1. Where did Narendra Modi born? 2. When did Narendra Modi born? 3. 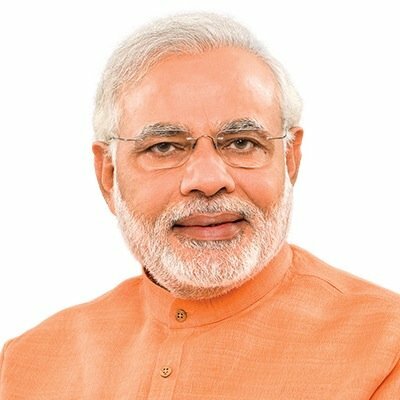 Narendra Damodardas Modi is the ________ Prime Minister of India. 4. On 3rd April 2016, Narendra Modi was conferred with - The Order of Abdulaziz al Saud. It is the highest civilian honor of which country? 5. In June 1975, Prime Minister Indira Gandhi declared a state of emergency in India which lasted until 1977. During this period, known as "The Emergency", many of her political opponents were jailed and opposition groups were banned. Modi was appointed general secretary of the -------------------, an RSS committee coordinating opposition to the Emergency in Gujarat. 6. On which date, Narendra Modi was administered the oath of the Chief Minister of Gujarat for the first time? 7. Modi was sworn in as the Prime Minister of India on 26 May 2014 at the Rashtrapati Bhavan. He became the _________ Prime Minister born after India's independence from the British Empire. 8. In September 2014, Modi introduced which initiative to encourage foreign companies to manufacture products in India, with the goal of turning the country into a global manufacturing hub? 9. When did Modi launched the Swachh Bharat Abhiyan ("Clean India") campaign? 10. In which year, a wax statue of Modi was unveiled at Madame Tussaud Wax Museum in London?